Please come visit the Elder Care Services Booth featuring Elder Care Consulting, Elder Care Associates and Senior Moments at the 2016 Tolland County Business Showcase on Tuesday, April 5, 2016 from 4:00 to 7:00 pm at Maneeley’s Banquet Facility, 65 Rye Street, South Windsor, CT. 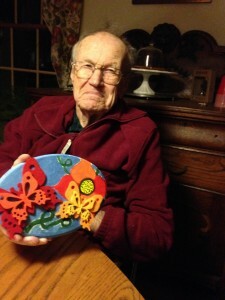 Check out the wonderful crafts by our Senior Moments Clients and be sure to enter our drawing for a Shady Glen Gift Certificate! Volunteer Opportunities at Senior Moments! 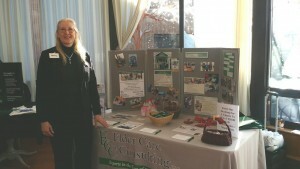 Stop by to meet Elder Care Consulting ‘s Aging Life Care Consultant and Senior Moment’s Wellness nurse. Lost…a person with memory impairment. A Silver Alert is a public notification system in the United States to broadcast information about missing persons – especially senior citizens with Alzheimer’s disease, dementia or other mental disabilities – in order to aid in their being found. How often have we seen these posts on our local Patch, the news or other media? Families often do not recognize that their loved ones are at risk for wandering. Many people with memory impairment are also directionally challenged. That’s not the same as the joke of “most men will never ask for directions”. This condition is related to how their brains perceive visual spatial differences. What are the warning signs and how can you prevent this from happening without restricting freedom? 1. Always make sure the person has identification on them. 3. Enlist your neighbors to keep an eye out for the person on the move. 4. Keep the person active and engaged. Try introducing a walking buddy. Lori O’Connor, President of Elder Care Consulting in Manchester and Senior Moments Day Center in Tolland has received a National Geriatric Care Manager certification and membership in the Aging Life Care Association. These professionals have expertise in the care of older adults and support of families and caregivers. 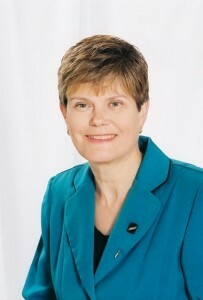 Lori holds a Master’s Degree in nursing with a specialty in Gerontological nursing and owns three elder care companies serving central and Eastern CT.
Senior Moments to attend the Connecticut Association of Adult Day Center’s Expressive Art Exhibit at the 2016 Alzheimer’s Conference Thursday, April 7. Exhibits will be comprised of a variety of hand made arts and craft projects. Today your mom is in the hospital and you live 1000 miles away. These are challenging times in all health care settings. In this day of hospitalists versus the family doctor, how can you be sure that the hospital has the correct information? What can you expect at discharge? What will happen to your elderly father when he is alone at home? These worries become compounded when the patient has memory loss, physical limitations or sensory issues as well. May is National Professional Geriatric Care Managers month. These are the individuals who come to the rescue when you truly need an advocate, a coordinator or a health care professional that can bridge the health care divide. 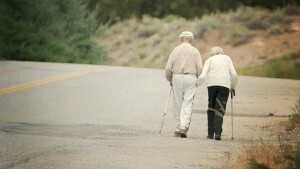 Professional Geriatric Care Managers assess, recommend, coordinate, advocate and support the entire family system. They work in conjunction with families, attorneys, financial planners, assisted livings and all health care agencies. Professional Geriatric Care Managers are the only professionals that cross the continuum of care by following our elder in hospitals, to rehabilitative facilities and back home again.